Edwin James George Pitman was born in Melbourne on 29 October 1897 and died at Kingston near Hobart on 21 July 1993. His father, Edwin Edward Pitman, was born at Morecombe, Whitchurch in the county of Dorset on 7 May 1862, and his mother, Ann Ungley (née Hooks) at Marylebone on 10 January 1865; they met on the ship to Australia, married and settled in Melbourne. The father worked for a firm making prime movers and other machinery. Edwin J.G. was the fourth of eight children, preceded by three girls and followed by two more girls, Leonora and Pamela, a boy Charles and a girl Elsie. He early developed a retentive and critical faculty; his mother described him as 'the critic' and 'that piece of blotting paper'. Although the family did not have many books, he acquired a taste for reading from a Sunday School teacher - a worker in a flour mill - who had a large library and would let him borrow any books that interested him. His schooling was at Kensington State School and South Melbourne College. The College had an unusual Head, O'Hara, and an unusual curriculum. On Saturday morning the boys would work through examination papers in Arithmetic and Algebra, including in the later years Cambridge Tripos papers; in the afternoons they would study Shakespeare. Even so, Edwin was dissatisfied with the course, believing that, although it was advanced it was not rigorous enough. In his final year, O'Hara insisted that he apply for a residential scholarship at a college of the University of Melbourne; as a result he gained not only the Wyselaskie and Dixson Scholarships in Mathematics but also a scholarship to Ormond College. At Ormond, the Master at the time was D.K. Pieken, a New Zealander who had been teaching a modern account of the no. System His notes filled a gap in Edwin's training and were avidly studied. Also at Ormond was C.E. Weatherburn, then a lecturer who taught applied mathematics and physics to Edwin on his own. His time at the University was interrupted by two years of war service, in the 14th Battalion of the Australian Imperial Force in 1918-19. During demobilization he spent a year in London, studying at the London School of Economics: 'Sociology or something of that kind'. He also studied French and German at the Berlitz College, which enabled him to read the works of Paul Lévy and A.N. Kolmogorov. Returning to Melbourne in 1920, he completed the degree course and graduated B.A. (1921), B.Sc. (1922) and M.A. (1923). In the meantime he was appointed Acting Professor of Mathematics at Canterbury College, University of New Zealand (1922-23). He returned to Australia when appointed Tutor in Mathematics and Physics at Trinity and Ormond Colleges and Part-time Lecturer in Physics at the University of Melbourne (1924-25). In 1926 Pitman was appointed Professor of Mathematics at the University of Tasmania, a position he held until his retirement in 1962. Pitman's career at the University of Tasmania was rather arduous. As head of a small department of mathematics in a poorly-funded university, he had from the beginning a heavy teaching load. In addition, as a condition of accepting the appointment, he was required to have some knowledge of statistics and to be prepared to teach the subject. Pitman, who had attended only a few lectures in the subject at Melbourne and was not impressed, nevertheless agreed to these conditions and regularly gave courses in statistics, often to only one or two students at a time. About two years after his appointment, an experimenter at the State Department of Agriculture, R.A. Scott, brought him some data and statistical analyses from field trials on potatoes, together with a copy of R.A. Fisher's Statistical Methods for Research Workers. Pitman checked the calculations and studied the Fisher book, which led to continuing collaboration with the Department of Agriculture on its field trials. Pitman later described himself as 'a mathematician who strayed into Statistics'; nevertheless, his contributions to statistical and probability theory, to be described below, were substantial. Pitman early became involved in university administration, mainly because he considered the place was so badly managed, and was appointed to the Council, the university's governing body. Much of the academic administration was run by the Board of Studies, a body comprising prominent citizens and other outside people, while the Professorial Board functioned only as a disciplinary body. Eventually he was able to persuade the Board of Studies to transfer its functions to the Professorial Board. Later he was active in negotiations that enabled the university to move from its rather cramped site on the Domain to the Rifle Range in Sandy Bay; the proposal was initiated in 1939 but the move did not occur until 19S5 and later. Then, in the early 1960s, he arranged with the Chairman of the Hydro-Electric Commission for moves to jointly acquire a computer. in masterful administration of the unforeseen. A reading of Richard Davis' Open to Talent, a centenary history of the university, gives the impression that Pitman did exert considerable influence, often behind the scenes, because of his 'masterful administration of the unforeseen'. During World War II, Pitman was Wing Training Officer for 6 Wing Air Training Corps stationed in northern Tasmania. This is a part-time appointment but was in fact virtually a full-time job; it involved travel from Hobart to Evandale, a distance of about 170 kilometres, several times a week. 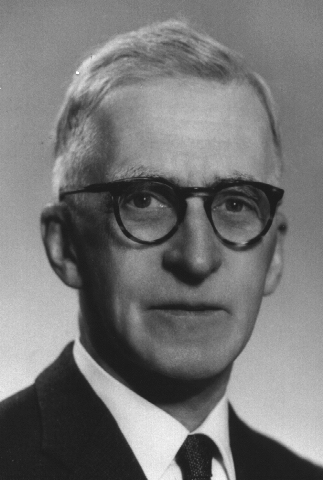 Edwin Pitman became the second President of the Australian Mathematical Society, in 1969 and 1960, following Thomas MacFarland Cherry. He was very successful as President in a period of consolidation and extension. He was an excellent chairman of committees, always held in a friendly atmosphere. He also took an active part in the Summer Research Institutes organized by the Mathematical Society, and used them as a sounding board for his research on statistical inference. In recognition of the unique, original and influential contributions of E.J.G. Pitman to the theory of Statistics and Probability, the Central Council of the Statistical Society of Australia resolved in August 1977 to 'institute the award of a gold medal to a member of the Society for high distinction in Statistics', to be named the Pitman medal, and that 'Professor Pitman be awarded the first of these medals'. With little formal training in Statistics and few contacts with fellow statisticians, he produced work of such outstanding quality as to earn for him an international reputation and to have a substantial effect on the development of statistical method, particularly in the inferential and non-parametric fields. For many Australian statisticians he has a very special place. We, on the Australian continent, have a tendency to feel isolated and his work is a clear indication that isolation is as much a state of mind as it is of geographical location. Pitman had been elected an Honorary Life Member of the Society in 1966; he was elected a Fellow of the Academy in 1954, in the first group of elected Fellows. Pitman's published work comprises 21 papers and a monograph. Much of his research has been presented in lectures and in other ways. He has said, 'I've never given a thought to publications. I've thought I'd solved a mathematical problem, but anyone else could solve it...' Nevertheless, the published work has been very influential, in clarifying the underlying ideas of inference and in defining new and relevant concepts. The reason for this may be found in the Preface to his 1979 publication Some Basic Theory for Statistical Inference, described as 'an attempt to present some of the basic mathematical results required for statistical inference with some elegance as well as precision...The topics treated are simply those that I have been able to do to my own satisfaction to this date.' This is an interesting remark also because Pitman was in his 82nd year when the book was published, even if its greater part may have been written a little earlier. Pitman's 1936 paper, 'Sufficient statistics and intrinsic accuracy', Proc. Camb. Phil. Soc. 32, 567-579, defines the class of probability distributions that admits a complete sufficient statistic and also gives a critical account of the related concepts of information and intrinsic accuracy. It yields priority to Darmois(1), which however is a mere statement of results. In later work(2), Pitman discusses the limits on accuracy of estimation and the inapplicability of the information concept in non-regular cases. His two papers(3) on inference about location and scale parameters are classics; they define clearly the class of continuous distributions to which the theory may be applied and the limitations to which the inferences drawn from the analysis are subject. Pitman presented the first systematic account of non-parametric inference(4) and lectured extensively on the subject, both in Australia and in the United States. The kernel of the subject, as described by him, is 'Suppose that the sum of two samples A, B is the sample C. Then A, B are discordant if A is an unlikely sample from C.' Again, he writes, 'The approach to the subject, starting from the sample and working towards the population instead of the reverse, may be a bit of a novelty'; and later, 'the essential point of the method is that we do not have to worry about the populations which we do not know, but only about the sample values which we do know'. The notes of the 'Lectures on Non-parametric Inference' given in the United States, though never published, have been widely circulated and have had a major impact on the development of the subject. Among the new concepts introduced in these Lectures are asymptotic power, efficacy, and asymptotic relative efficiency. The 1957 paper(5) is a lengthy review of Fisher's Statistical Methods and Scientific Inference, giving a critique of Fisher's presentation of significance tests and of fiducial inference; and the 1965 paper(6) is a more general discussion of inference, bringing out the central significance of the likelihood ratio. A major contribution to probability theory is his elegant treatment of the behaviour of the characteristic function in the neighbourhood of the origin, in three papers(7). This governs such properties as the existence of moments. There are also interesting properties of the Cauchy distribution(8), and of subexponential distributions(9). Although Pitman's work advanced the theory, he was also always concerned with the use to which results could be put. In his treatment of the Cramér-Rao Inequality, for instance, he states, 'We want to apply the Cramér-Rao inequality to statistics that we do not know, and so the regularity conditions should ask as little as possible of the statistic S...and should be mainly concerned with the family of measures which we know completely'. Elsewhere(10) he remarks 'Regularity conditions for theoretical results are often flung down with scant regard for the possible user. They are often too strong, and they are often difficult to verify in actual cases'. With this consideration in mind, he defines smooth families of measures in such a way that every statistic with essentially bounded variance from such a measure is regular. The 1937 paper(11), in which the property of closeness of an estimator is defined and discussed, has received little attention until recent years. It was a response to Karl Pearson's paper(12) which raises the question of what is the best estimator of a parameter. Pitman sagely remarks that 'any definition of "better" and "best" must depend on the use which is to be made of the estimate'; he then goes on to define 'closeness' as a property defined in terms of probability inequalities, unlike other criteria based on moments. This criterion has not proved popular, possibly on account of the difficulty in applying it; also, it is not transitive though this does not detract from the validity of the criterion 'closest'. It is puzzling that this paper should have appeared within a year of Pearson's paper, in view of slow communications between continents in that era; it is possible that Pitman was developing this criterion even before he saw Pearson's paper. In 1991, a symposium on 'Pitman's Measure of Closeness' was held at the University of Texas at San Antonio. The conference proceedings were published as a 330-page issue of Communications in Statistics; subsequently three of the contributors published a monograph on the subject, entitled Pitman's Measure of Closeness: A Comparison of Statistical Estimators. It seems unlikely that Pitman was aware of this work. Pitman's research, although encompassed in relatively few published papers, has been influential because each contribution has been the result of mature and careful crafting. The conditions imposed on results are the minimum required for precision, and chosen for their applicability by the user. These qualities are especially exemplified in the work on inference about location and scale parameters, and the treatment of the Cramér-Rao variance bounds. Pitman was much in demand as a visiting lecturer, especially in the United States. His first contact with statisticians outside Australia was in 1948-49, when he was invited to visit Columbia University, the University of North Carolina at Chapel Hill, and Princeton. It was on this visit that he developed his methods of nonparametric inference. His next visit to the United States was in 1957, when he was appointed a Visiting Professor at Stanford. After his retirement in 1962, he was able to travel more frequently. In 1963 he visited Berkeley, where he contributed to the International Research Seminar at the Statistical laboratory, and then to Johns Hopkins in Baltimore. He spent 1965 at the University of Adelaide. For 1966 and 1967, the University of Melbourne appointed him as Visiting Professor, where he did further work on the behaviour of characteristic functions, as well as exploring some novel properties of the Cauchy distribution. In 1969 he visited the University of Chicago. At the University of Dundee in 1973 and at Melbourne in 1974 he put the finishing touches to the monograph. Much of Pitman's research was carried out to clarify the work of R.A. Fisher. He had a good relationship with Fisher, whom he entertained in his home in Hobart when Fisher visited Australia in 1953. However, after Pitman wrote a justly critical review of Fisher's Statistical Methods and Scientific Inference, there was coolness between them. Later, Fisher's daughter, Joan Box, brought them together, although the Fisher monograph was never discussed again. Edwin Pitman's contribution to statistical theory, and to mathematics generally, was widely recognized. He was elected to high status in several professional societies: in 1948, a Fellow of the Institute of Mathematical Statistics in 1954, a Fellow of the Academy in 1956, a Member of the International Statistical Institute; in 1965, an Honorary Fellow of the Royal Statistical Society; in 1966, an Honorary Life Member of the Statistical Society of Australia; in 1967 and 1968, an Honorary Life Member of the Mathematical Society of Tasmania and the Australian Mathematical Society respectively. As already mentioned, he was the eponymous first recipient of the Pitman Medal. In 1981 the American Statistical Association recorded on videotape a lecture by him, for historical purposes. The University of Tasmania awarded an Honorary D.Sc. in 1977, his eightieth year; and in 1987, to mark his ninetieth birthday, named the Mathematics Library the Pitman Collection. Pitman's contributions to statistics are characterized by depth of insight, rigour of treatment, clarity of expression and elegance of style. We hope that we have been able to mirror some of these qualities in the papers presented here. This publication is a means of expressing our gratitude to Pitman, who has been, and remains, an inspiring teacher and friend...Pitman has always been modest about his work, leaving the results to speak for themselves. In his first paper on distribution-free inference he describes his approach as "a bit of a novelty". He has seldom engaged in controversy, believing that it is more profitable to find and publish the facts, and that any conclusions demonstrably false will soon be forgotten. On first acquaintance, I summed up Edwin Pitman as somewhat cool and aloof, perhaps a little indifferent to those around him. I was misled because Edwin was so highly organized and self-disciplined that he conducted himself - in public at any rate - with almost military precision. He would have achieved less both as an academic and as an administrator had he not led such a disciplined life. In his own University he was remembered as a key figure in a small group who steered an under-staffed, poorly financed and sometimes badly administered University through turbulent seas to calmer waters...Edwin's most endearing characteristic was modesty about his achievements. He gave a course on inference, culminating in a treatment of asymptotic relative efficiency, not even telling us it was his concept. He was not without humour. Asked to describe his field of interest to a group of mathematicians, his response was 'Pure but bold', which he later elaborated as 'A pure mathematician bold enough to venture into statistics'. Pitman's ability to go to the heart of any question took my breath away. He is justly famous for his contributions to statistical inference...the only lecture notes I still read were those from his Course 'Applied Probability'. It is a tragedy that they were not typed and circulated, like his notes on 'Nonparametrics', for they contained much novel material, and many results that were later proved and published by others, usually by much more cumbersome and less insightful methods. Applied Probability was my favourite course and I wish that that was the one I had tried to get typed up. He started with samples from the uniform distribution and used all sorts of tricks for all sorts of problems. For many years I saw a stream of papers with some of these results appear in the journals. I wept when I saw a paper on Spacings, with clumsy proofs and much hoohah...I emphasize that this (Pitman's notes) was an entirely original selection and arrangement of probability material. He coined the term squariance, which avoided issues of how to define variance, with a denominator n or n-1. This never caught on, but it is still a good idea. He also coined the term 'efficacy', and used it extensively. But I forget what his definition was. One prizes those contacts, however small with a great man...I have always marvelled at my good fortune in having learned some nonparametrics from Pitman...One went to such classes to see a master at work - sly calculations, down-to-earth language, clues on taste. I got through his portion and the sympathetic questioning of the other committee members. There followed a tortuous fifteen minutes during which I was dragged through a mind-twisting and nonstandard problem of the type that Pitman seemed to enjoy. Later he took me aside: You are one of the better students here and we are going to pass you, but you should become interested in Probability and Statistics'...It took me much too long to understand that he was exactly on target, and I view this episode now as an indication of what an astute man he was. He examined my M.Sc. and hauled me over the coals over it, in his inimitable manner, which was very beneficial to me...Before that, I recall him in the tea room, which had a cross bar well above head height. I remember him lightly jumping up then hanging from it, saying how good it was for the spine. Apart from being impressed with the athleticism of a man in his late 60's, I was left with the impression which I later confirmed from his mathematical work as being characteristic - of spareness; being wiry, ascetic, minimalist. These characteristics also were part of his personality, part of which was (apparently) not ever for a moment suffering a fool gladly. No chronicle of Edwin Pitman's life and achievements would be complete without due recognition of the contribution of his wife Elinor. Elinor Hurst was the youngest member of a large Hobart family; she was educated at the Friends School where she was Dux, and at the University of Tasmania where she graduated in Arts. She and Edwin were married on 7 January 1932. They resided in a large sandstone house, then on the outskirts of Hobart, where Elinor was able to create a tranquil home environment in which Edwin could carry on his work. They had four children: Jane, now Reader in Mathematics at the University of Adelaide; Mary (Mrs John Baldwin), Professor of Environmental Science at Concordia University, Montreal; Edwin Arthur (Ted), a civil engineer with the Tasmanian Department of Main Roads; and James, Professor of Statistics at the University of California, Berkeley. Our lives as a family were entirely organized around his. His work was considered most important, and he liked to work at home, with breaks for lunch, tea, and dinner; one room of the downstairs, what might have been a den off the dining room, was used as his study, and he worked there....After dinner he normally read aloud to us, Dickens and Trollope. He decided when we would have family outings, and what they would be. When at Chapel Hill, the Pitmans were entertained by, among others, Harold and Suzanna Hotelling, who used to hold a monthly Sunday afternoon occasion for graduate students, faculty and visitors. These gatherings had a lasting impression, for after their return to Hobart, Pitman started having Sunday afternoon teas for selected mathematics students, members of the department and others. Edwin Pitman enjoyed an active social life. He was keen on theatre, and in 1933 produced the play 'Baa, Baa, Black Sheep', with brother Charles as Stage Manager. He joined a group of Bridge players, who met every Saturday night when in Hobart until the late 1950s. He also played tennis, including the occasional game of Royal Tennis at the local court. He was an active member of the Church of England in Australia and took part in the negotiations that led to its transformation to the Anglican Church of Australia. At various times he served on the Diocesan Council, the Tasmanian Synod, and as a delegate to the Australian General Synod. He was a member of the Christ College Trust, the body responsible for Christ College at the University of Tasmania, Hutchins School in Hobart and Launceston Grammar School. In April 1982, three months after their golden wedding anniversary, Elinor Pitman suffered a stroke, which left her partly paralysed but with mind and speech unimpaired. Despite persistent encouragement from Edwin, she did not regain the confidence to walk without assistance. Nevertheless, they were able to go on outings together, including concerts and the theatre, thanks to the provision of wheelchair access at many venues in Hobart. Eventually Elinor moved to a nursing home. In 1991 Edwin fell and fractured his femur. He then moved from their home in Davey Street to a serviced apartment at the Derwent Waters Residential Club in Claremont, north of Hobart. As this was not sufficiently comfortable, he moved to a nursing home at Kingston, south of Hobart, where he was joined by Elinor, and where Elinor continues to reside. On his death, on 21 July 1993, Edwin was buried at the Hobart Regional Cemetery in Kingston. He lives on in the memory of many of us who are grateful for his life and legacy. Thanks are due to P.O. Bishop, Mary Baldwin (née Pitman), Bruce Brown, John Jenkin, Ingram Olkin, Edwin Arthur (Ted) Pitman, James Pitman, Jane Pitman, Peter Sprent, Geoffrey Watson and Donald Ylvisaker for their comments and contributions. (1) Darmois, G. 'Sur les lois de probabilité à estimation exhaustive', C.R. Acad. Sci. 200 (1935), 1265-1266. (2) Pitman, E.J.G., 'The Cramér-Rao inequality', Aust. J. Statist. 20 (1978), 60-74; and Some Basic Theory for Statistical Inference, London: Chapman and Hall, (1979). (3) Pitman, E.J.G., 'The estimation of the location and scale parameters of a continuous population of any given form', Biometrika 30, (1939) 391-421; and 'Tests of hypotheses concerning location and scale parameters', Biometrika 31, (1939) 200-215. (4) Pitman, E.J.G., 'Significance tests which may be applied to samples from any populations', Suppl.J.R.Statist.Soc. 4, (1937), 119-130; 'Significance test which may be applied to samples from any populaitons. II. The correlation coefficient test', Suppl.J.R.Statist.Soc. 4, (1937), 225-232; and 'Significance tests which may be applied to samples from any populations. III. The analysis of variance test', Biometrika 29, (1938), 322-335. (5) Pitman, E.J.G., 'Statistics and science', J. Amer. Statist. Assoc. 25, (1957), 322-330. (6) Pitman, E.J.G., 'Some remarks on statistical inference', Proc. Int. Res. Seminar, Berkeley (Bernoulli-Bayes-Laplace Anniversary Volume), (1965), pp.209-216. New York: Springer-Verlag. (7) Pitman, E.J.G., 'On the derivatives of a characteristic function at the origin'. Ann. Math. Statist. 27, (1956), 1156-1160; 'Some theorems on characteristic functions of probability distributions'. Proc. 4th Berkeley Symp. Math .Statist. Probab. II, (1961) 383-402; and 'On the behaviour of the characteristic function of a probability distribution in the neighbourhood of the origin'. J.Aust. Math. Soc. 8, (1968), 432-443. (8) Pitman, E.J.G., (with E.J. Williams). 'Cauchy-distributed functions of Cauchy variates'. Ann. Math. Statist. 38, (1967), 916-918. (9) Pitman, E.J.G., 'Subexponential distribution functions'. J.Aust.Math.Soc. A29, (1980), 337-347. (10) Pitman, E.J.G., 'Reminiscences of a mathematician who strayed into statistics. In The Making of Statisticians, ed. J. Gani, (1982), pp.112-125. New York: Springer-Verlag. (11) Pitman, E.J.G., 'The 'closest' estimates of statistical parameters', Proc. Camb. Phil. Soc. 33, (1937), 212-222. (12) Pearson, K., 'Method of moments and method of maximum likelihood', Biometrika 28 (1936), 34-59. (13) Williams, E.J. (ed. ), Studies in Probability and Statistics (1974). Jerusalem: Academic Press. (14) Gani, J. (ed.) The Craft of Probabilistic Modelling (1986). New York: Springer-Verlag, pp;43-60. Evan J. Williams works in the Department of Statistics, University of Melbourne.